ESFPs have a special place in my heart. In fact, I would dare to say that they are one of the most underrated of all the personality types. I grew up with an ESFP mother who taught me that life was to be grasped and tasted and lived, who showed me how to ride shopping carts out of the grocery store and how to roller skate in the rain. She is intelligent, devoted, and a jack-of-all trades. This is why it surprised me last night when I googled the words; “Are ESFPs”. What I saw was, “Are ESFPs stupid?”, “Are ESFPs annoying?”, “Are ESFPs shallow?”, or “Are ESFPs selfish?”. I don’t know if the people who google these things have never met an ESFP or if they just feel extremely superior, but all of the ESFPs I have known have been incredibly generous and creative individuals with numerous unique abilities and gifts. ESFPs lead with dominant Extraverted Sensing (Se) followed up by Introverted Feeling (Fi). The way ESFPs use Se is what we are going to address in this article. We’ll get into their other cognitive functions in future posts. 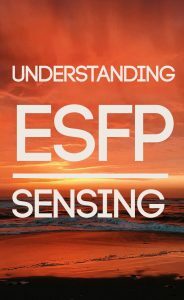 Extraverted Sensing is what gives the ESFPs their ability to make the most of the present, to see opportunities quickly, to stay engaged with the world around them. These types are natural improvisers, opportunists, storytellers, entertainers, and humanitarians. Extraverted Sensing is focused on discerning and being aware of everything happening in the present moment. ESFPs have a natural “kinesthetic intelligence” that makes them aware of how to use their bodies and environment in the most efficient, practical way possible. They often have a natural grace because they are so keenly aware of how to move and adapt to changes as they happen in real time. They are quick to see opportunities to reach out to other people; whether it’s through providing practical help, telling a humorous story, or opening other people’s eyes to the natural beauty all around them. Extraverted Sensing focuses on fully living in the moment. ESFPs know how to make the most of what “is” and how to adapt and create opportunities out of anything. They don’t feel the need to alter or change people, which gives them an open-minded, accepting demeanor. You can’t help but enjoy their company, and they make you see the beauty in each moment. They are experts at mindfulness, at seeing and appreciating the gifts of nature and the beauty in everyday life. ESFPs accept facts and reality readily, which makes them surprisingly rational and level-headed. They keep their feet firmly planted on the ground and enjoy improvising and adapting to ever-changing situations. They think quickly in a crisis and know how to stay optimistic when life lets them down. This isn’t to say that ESFPs never feel sad or depressed, but they do tend to have a natural ability to see the bright side. The saying “if life gives you lemons, make lemonade” captures the Extraverted Sensors adaptability and opportunism. The curiosity of Se-users leads them to develop a plethora of skills. They can learn practically any hands-on trade, and they have a knack for figuring out how technical devices and tools work. Many ESFPs excel as doctors, nurses, and even massage therapists because they are naturally in tune with the human body and are curious to discover how it works. ESFPs tend to be interested and adept at a variety of interactive skills. For example, one ESFP I knew could construct buildings, sew, garden, cook, and he was a professional psychologist. My mother was a trained nurse, but she could also build, sew, teach, and she could sing almost anything beautifully. 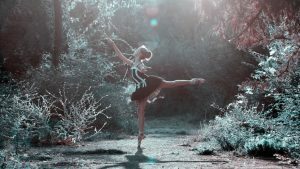 I could give countless examples of ESFPs who have numerous abilities, and I find it crazy that they are often so unappreciated in the personality type community. The only areas that hold very little interest to most ESFPs have to do with theory and abstract topics. Until later in life, when ESFPs develop their inferior intuition, ESFPs may be easily bored by discussing these types of subjects. ESFPs are one of the more underserved personalities when it comes to the world of education. The majority of elementary teachers are SJ types, who tend to teach through rote memorization, repetition, and lecture. The majority of university professors are intuitives, who like to focus on the abstract, the theoretical, and who may teach in a non-linear fashion. ESFPs are just as intelligent as SJs and intuitives, but they rarely meet teachers who share their preferences and tailor to their learning style. ESFPs learn best by doing. They want to get their hands on things, to interact, to work with people. They excel in fields that have a practical application and work best on their feet, moving and connecting with the world around them. Sitting still at a desk all day listening to lectures and repeating sums is frustrating for the majority of SP types. While they have the same mental abilities that other types do, they would be better served by actively engaging with the world, by moving while they learn, by using their kinesthetic intelligence to physically connect ideas and principles. 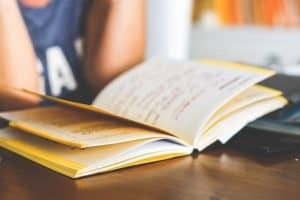 The MBTI® Manual says of ESFPs, “Because they learn more from doing than from studying or reading, they tend to plunge into things, learning as they go.” ESFPs tend to excel in fields where they can work with something or someone directly. Many ESFPs are highly creative; they usually enjoy the arts, acting, drawing, singing, entertaining. Michelangelo, Steven Spielberg, and even Beyonce are considered ESFPs. The important thing for the ESFP in school is that they are taught something they see especially relevant. If they’re disinterested in a subject or don’t see how it will be important in their daily life, it becomes difficult for them to focus. – They are realistic and down-to-earth. – They tend to be optimists and opportunists. – They are adaptable and easy-going. – They like to collect interesting facts and are keenly aware of the details of their current environment. – They learn best from experience and hands-on activities. – They are authentic and honest. – They are compassionate and giving. – They are often physically aware and graceful. – They are focused primarily on the moment and making the most of things as they are. Nardi goes on to say that this brain activity explains why ESFPs enjoy playing games that involve tactical action (like sports or Mario Cart). In fact, ESFPs enter a “zone”-like state when they are engaging in crisis situations. They become calm and focused, reacting quickly and logically to solve the problem. – Male ESFPs ranked highest on two out of three measures of creativity. – ESFPs rank higher on deductive reasoning than dominant Thinking or Feeling types, with other dominant Sensing types. – They prefer history among their academic subjects. Want to know more about ESFPs? Check out these amazing books!